Ready to become a member at BCECC? Membership is open to small, medium and large companies and organizations, as well as to individuals who subscribe to the Chamber’s objectives. Please note that all memberships last until the end of the calendar year. Why should your company join the BCECC? 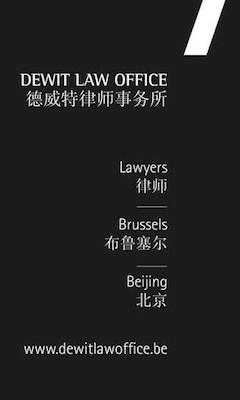 Gain access to our network of Belgian and Chinese entrepreneurs to find possible clients, partners or to share your business experiences. Title Mr.	Mrs.	Ms.	Mr. & Mrs.
As member of BCECC I agree to have my contact details shared with other BCECC members for my own interest. I agree to stay informed about BCECC’s future activities and to receive BCECC mailings through the email address provided here above. I agree my first name, last name, company name and title to appear on the participants list of an event I have subscribed to.